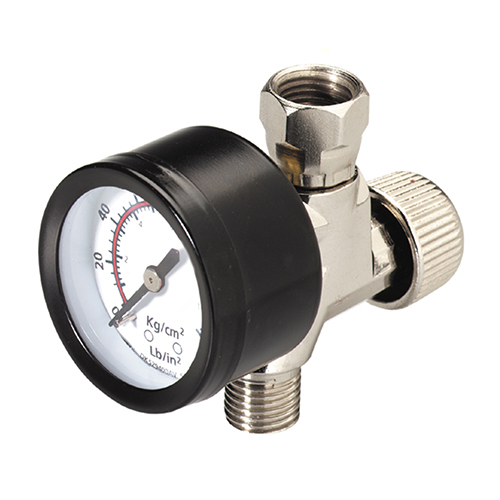 The Campbell Hausfeld spray gun adjusting valve with gauge (MP327600AV) is designed to adjust air pressure at the spray gun. Efficient air flow design minimizes pressure drop. 1/4 in. NPS (F) connects to gun. 1/4 in. NPT (M) connects to air hose. Gauge indicates air pressure at spray gun. Infinitely adjustable from 0 – 160 max PSI.